Learn everything in SEO Course training and find out how to form your team with no investment at all to get big clients. You will learn all aspects at the end of this course. I divided course in 3 sections. Hi I`m Nebojsa , I run digital marketing agency for more than 2 years currently I manage team of 2 people in SEO. I work with several companies, helping them start up and scale their business. 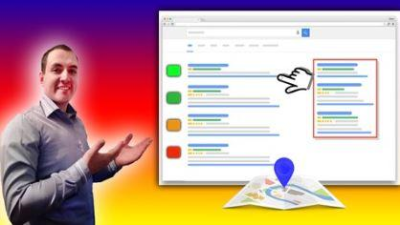 In this course I will show you everything that you need to know about SEO in live examples with practical things. 9. Bonus of 55.000 e-mail list of people who run business with e-commerce which you can use to contact for SEO offer. 10. E-Mail templates that I send to my clients with convert rate above 3% on every 100 e-mails sent. Section number two is where I teach you how to form SEO team and hire people into your team with no money at all. I`m showing you best tips and tricks how to find and form expert team that will be yours. I will show you factors to consider when looking for them, where to find them, how to interview them and more. Section number three is where I`m showing you how to look for SEO clients how to e-mail them, how to analyze their website for better offer. How to give them cold calls. I will give you as bonus my 55.000 email list of all clients that have e-commerce website that I collected whole year. I will show you how to convert them , how to get them on a calls, or e-mail conversation, how to close a deal and then let your team do the work while you control only because from section number 1 you learned everything about SEO so you don`t have to waste your time doing it just controlling it. By the end of this course you will know how to optimize your website but you will also have everything that you need to know to start up your business with no investment at all. During this course Udemy will ask you to leave review. Please if there is something not clear or you need more help just contact me before you leave negative review. I offer my full help to anyone who finishes the course.